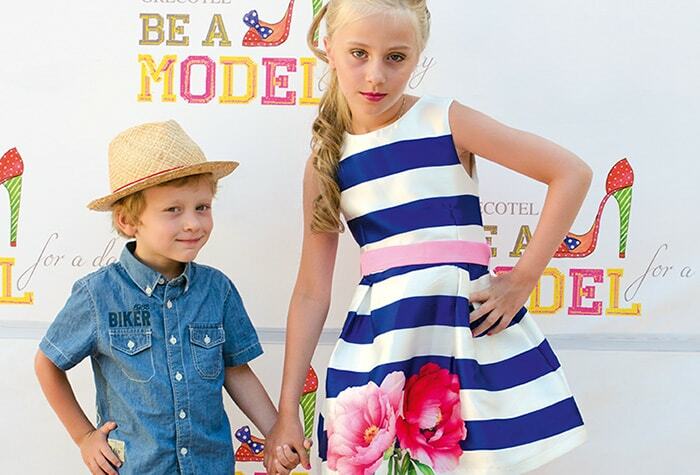 Grecotel Model Academy introduces younger guests to the world of beauty and fashion. Give your golden stars a unique holiday experience, that will stay forever in the heart and soul. Surrounded by true professionals teen models (aged 10-16), they learn the best tips about fashion, hair styling, make-up artistry and beauty secrets and become the top model of their dreams. The programme is free of charge, based on a weekly schedule with specific lessons (master classes) and available during July and August (specific dates). Parents will be informed and able to witness the progress and success of their precious young divas. A souvenir for their successful graduation will be given to the kids. Children aged between 10-16 yrs. may be registered (limited participation due to the personalized nature of the programme). BEAUTY SALON - Beauty Queens at Elixir Beauty Spa: Face Beauty treatment, Nail polish, Foot massage & Pedicure by Elixir Beauty Spa therapists. MAKEUP (MASTER CLASS) - Make up & Beauty tips performed by professional make-up artist & beautician. INTRODUCTION TO POSING (MASTER CLASS) - Posing Tips for our first Photo Shooting by professional photographer. FITNESS - Aqua Fitness at hotel's exotic pool by Grecotel Entertainment Team. GRAND REHEARSAL - Clothes Fitting at Model Academy & Catwalk Rehearsal (Clothes & accessories available from Grecotel Model Academy). SHOW TIME! - Make up & Hairdressing at Model Academy. Getting ready for the final Catwalk Show! Debutants combine their love for fashion and beauty. 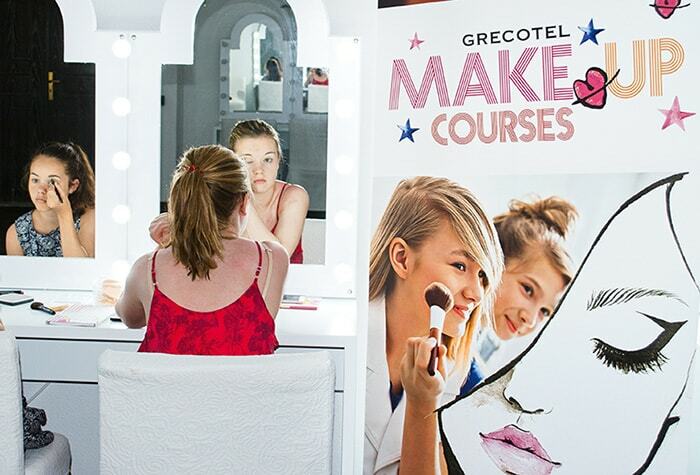 Grecotel Make-up Courses introduce young beauties (13+) to the fundamentals of make-up artistry. In advanced workshops family’s favourite debutants learn the best make-up techniques by the top professionals. Your young stars will quench their thirst for fashion and beauty while having a holiday of a lifetime! They will learn or bring their skills to the next level on how to enhance their look to the max and how to look perfect in minutes. The programme is offered free of charge & is available weekly, from 2rd of July until 28th of August, every Tuesday & Wednesday. Operation: 1 Make-up Day Course (2 hours, 16:00-18:00) per day - 2 days per week.